The Ontario Senior Achievement Award honours people who have made an outstanding contribution to their community after age 65. Seniors over 65 who qualify for this award may have contributed in many different fields including arts, literature, community service, voluntarism, education, environment, fitness and humanitarian. The deadline is June 15 each year. If June 15 falls on a weekend or holiday, nominations are accepted until 5:00 p.m. the following business day. An independent selection committee reviews all the nominations and selects the recipients. Members of the selection committee are from the seniors’ community and are appointed by the Minister Responsible for Seniors. Up to 20 seniors are selected each year. 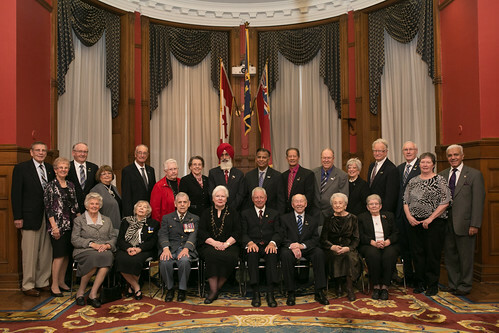 A special ceremony is held at Queen’s Park in October each year to honour the recipients. Refer to the nomination form to get more details about program requirements.